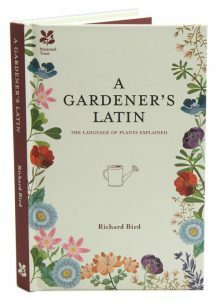 A gardener’s Latin: the language of plants explained. Every gardener needs to know their Latin names. They may look confusing at first, but once you understand what certain key words mean, impenetrable-sounding and hard-to-pronounce species names are suddenly demystified. Many Latin names hide the secrets of where the plant is found, its colour, flowering times, leaf pattern, natural habitat and all sorts of other information that’s extremely useful to the gardener: if you want a plant for a shady place, choose one with a name ending in sylvestris (‘of woods’), while if your garden is dry, look out for the suffix epigeios (‘of dry places’). 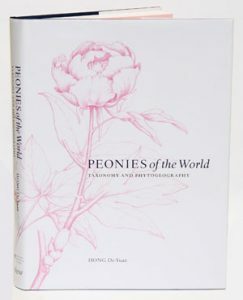 More than just a dictionary of plant names, this fascinating book explains the meaning of hundreds of Latin plant terms, grouped into handily themed sections such as plants that are named after famous women, plants that are named after the shape of their leaves, plants that are named after their fragrance or the time of year that they flower. Within these pages you’ll learn that the sanguineum in Geranium sanguineum means ‘bloody’ (its common name is the bloody cranesbill), and to steer clear of any plant whose Latin name ends in infestus. A primer of botanical Latin with vocabulary. Artist/Author: Short, Emma and Alex George. 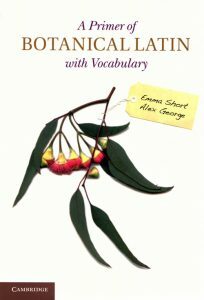 Providing a simple explanation of Latin grammar along with an in-depth vocabulary, this is an indispensable guide for systematic botanists worldwide. Latin is one of two acceptable languages for describing new plants, and taxonomists must be able to translate earlier texts in Latin. All relevant parts of speech are discussed, with accompanying examples as well as worked exercises for translating diagnoses and descriptions to and from Latin. Guidelines for forming specific epithets are also included. The authors cross-reference their grammar to Stearn’s Botanical Latin and to articles in the International Code of Nomenclature for Algae, Fungi and Plants. The comprehensive vocabulary is enhanced with terms from recent glossaries for non-flowering plants – lichens, mosses, algae, fungi and ferns – making this an ideal resource for anyone looking to hone their understanding of Latin grammar and to translate botanical texts from the past 300 years. This handy gardener’s reference provides the derivation, meaning and pronunciation of the most popular and interesting garden plants. Common names and synonyms are cross-referenced to the botanical name. Names are organized alphabetically by generic name and these are followed by species, sub-species, varieties, and forms. 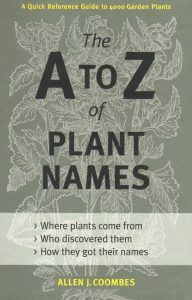 The language is non-technical and the aim is to demystify plant names, provide readers with interesting background information to naming, and empower gardeners everywhere to feel confident about naming plants. For two decades readers around the world have been fascinated by Brian Capon’s crystal-clear descriptions of how plants work. What happens inside a seed after it is planted? How do plants use each other – and animals – to survive? How do they reproduce, and how do they transform nutrients into growth? 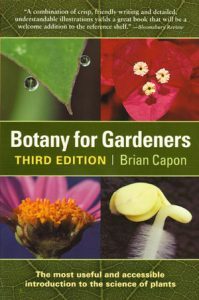 Botany for gardeners is the most complete, compact, and accessible introduction to the world of botany available. The new edition has been expanded with dazzling scanning electron microscope photographs and even more amazing facts about plants. Especially timely are new essays on food plants: what makes plants edible, the effects of climate change, and the role of genetic engineering. A wide range of topics covered include the exotic behaviours of unusual seeds, the astounding weight-bearing capacity of the Victoria waterlily, and the ingenious existence of lichens. Knowledge of plant names can give insight into largely forgotten beliefs. Conceived as part of the author’s interest in plant and tree lore and ethnobotanical studies, this book contains over 30,000 vernacular and literary English names of plants. An invaluable reference for botanists and horticulturalists. The first section gives an historical account of the significant changes in the ways that plants have been known and named. 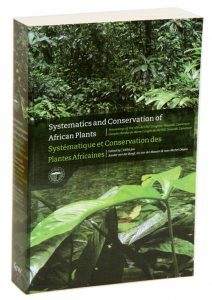 It documents the problems associated with an ever-increasing number of common names of plants, and the resolution of these problems through the introduction of International Codes for both botanical and horticultural nomenclature. It also outlines the rules to be followed when plant breeders name a new species or cultivar. The second section comprises a glossary of generic and specific plant names, and components of these, from which the reader may interpret the existing names of plants and construct new names. 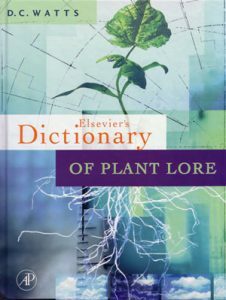 With explanations of the International Codes for both Botanical Nomenclature (2000) and Nomenclature for Cultivated Plants (1995), this new edition contains a greatly expanded glossary, which includes the Greek, Latin, or other source of each plant name. Artist/Author: Clarke, Ian and Helen Lee. Essential and clear information on how to identify flowering plants. Profusely illustrated with over 130 detailed line drawings and black and white images, this book contains a comprehensive chapter on floral structure, and introductions to the arrangement of flowers on plants, reproduction, plant structure and function, and the way plants are grouped and named. 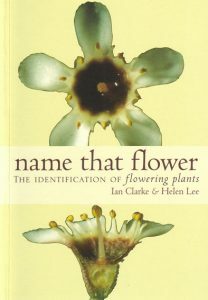 The authors describe how to apply this information to the identification of flowering plants and how to use the appropriate reference books. The final chapter deals with common plant families that are widespread in Australia, with illustrated examples of plants common in cultivation or in the wild. In addition, other commonly cultivated native or introduced plants are noted so that the reader can compare locally available material with the illustrations. A comprehensive glossary and bibliography is a welcome addition.